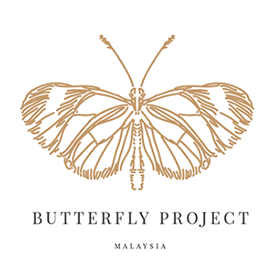 Assalamualaikum and hai beautiful people! One things that I always love to do is trying new beauty product. Is makes me discover more good products, and also can share my review with you guys. Today, I'm going to write about some of the products I got from FARMASI COLOR COLLECTION (FCC). But firstly I would like to say a big thank you to the FARMASI team. If you haven't already know, FARMASI now are bringing newest range of skincare here to Malaysia and I am honored to be able to try if first hand. yyeaayyyy!!! 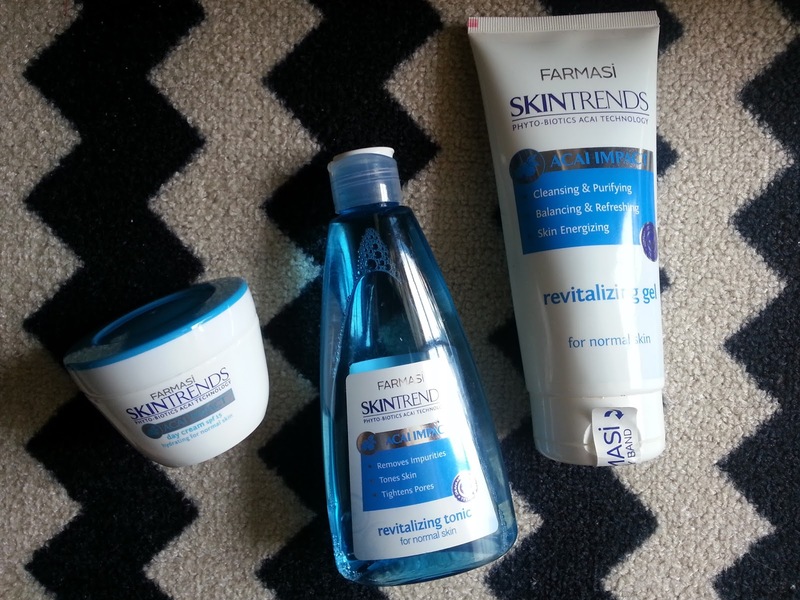 I received 3 items of the range include which are cleansing gel, toner, and also day cream to try out for review. I've use these product for 4 weeks and now I'm so excited to share my personal experience of using of it with you. 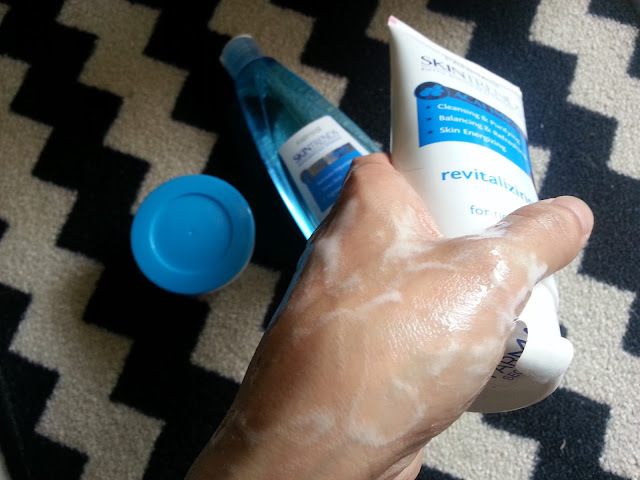 I personally love FCC's products a lot and I'am a big fan of the Farmasi makeup removal cleansing wipes. 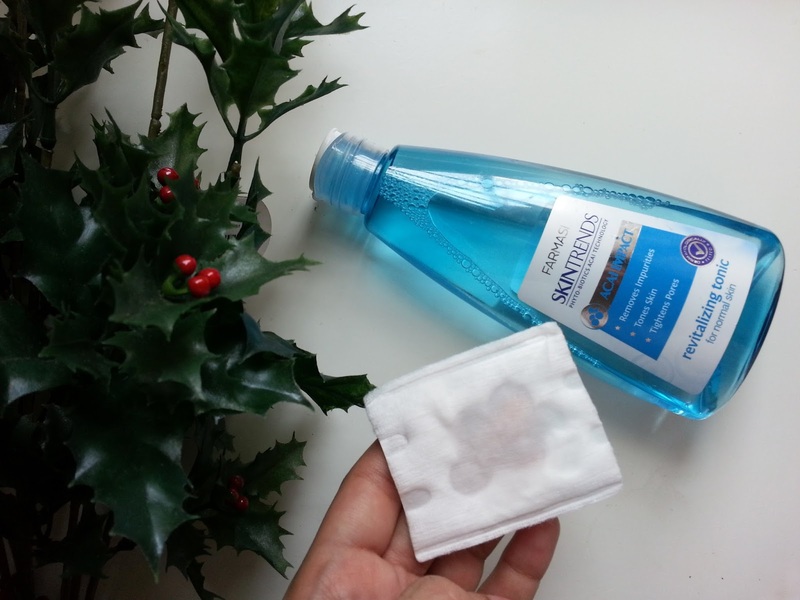 Some people prefer to take off their makeup with liquid makeup remover but some loves using makeup remover wipes. But there are also those who love to use both to make sure their face is completely clean especially before take the wudhuk before solat right? I love their Face Wipes so much because it instantly removes makeup just in 1 wipes and it also contains vitamin E, Aloe Vera and Mineral Complex which really helps to moisture the skin. 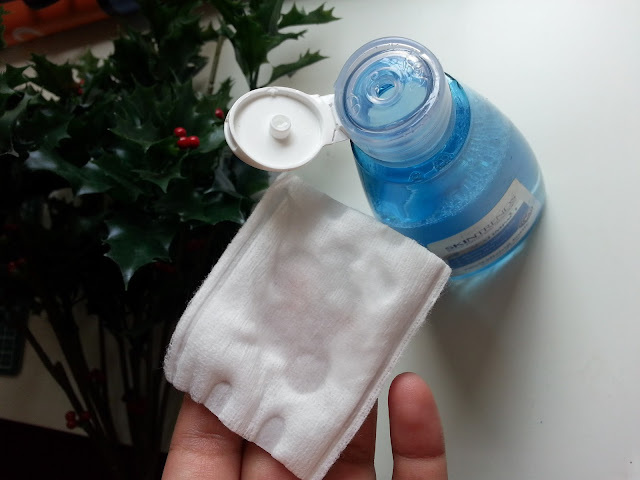 Having makeup remover wipes in your bag is always a must for muslimah, don't you think? much easier and save a lot of time, InsyAllah. 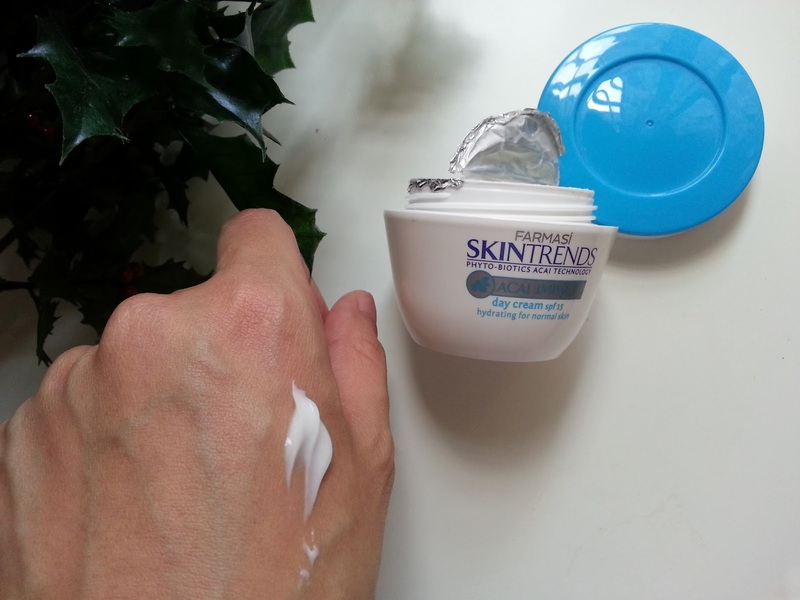 What's so special about SKINTRENDS? Have you here about FARMASI COLOR COSMETIC (FCC) before? FCC is actually originally from Turkey. The main highlight of the brand is bringing in Halal Cosmetics all the way from Istanbul. So once you think of Halal Cosmetic, you could think of FCC. Anyway, I was introduced to FCC's latest skincare range which is SkinTrends range that includes 3 steps moisture care product. 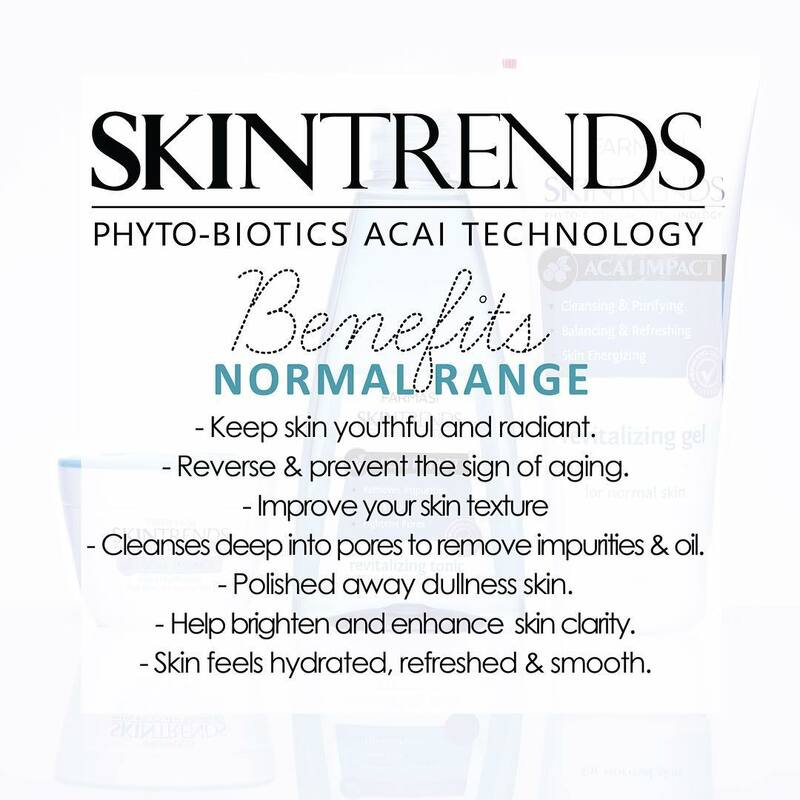 SkinTrends product are based on the technology of European Science. 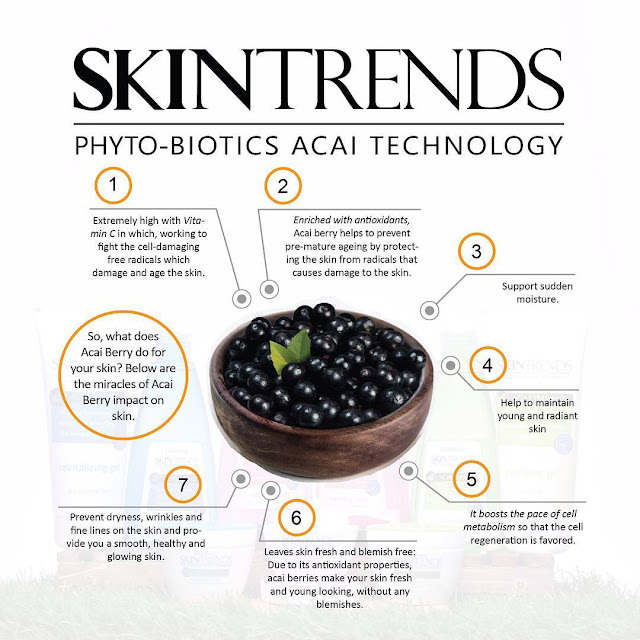 Created with the inspiration of Acai Berry, this fruit found in the rain forest of Southern America and acai beri is one of the healthiest berries you will ever find. This antioxidant -rich fruit has been heralded for centuries as a healing, immune-stimulating, energy-boosting fruit. Research has show that this antioxidant-rich berry may be able to fight the health problem associated with oxidation damage. Let me introduce you to the basic 3 step routine from SkinTends FCC. The first item that I want to share with you all is the Cleanser. Revitalizing Cleansing Gel helps to removes impurities and provide deep cleansing to minimize the appearance of pores. Surprisingly this one is very good! love the fresh feeling and I really feel my skin is so clean after using thin. Do not feel dry or tight after washing. Totally worth checking out! It smell good and the texture is really nice and my skin doesn't feel tight or dry after cleansing. The perfect everyday cleanser for those with easily upset complexions. Many of you may think that toner is not necessary in the skin care routine, in fact is the most important step of skin routine. Revitalizing Tonic helps to boost hydration and maintain skin's hydration. The texture is watery but slightly thicker compare to most toners and the smell . It is fast absorbing and sinks into my skin well and I can feel the sense of freshness into my skin. It hydrates beautifully, absorbing into my skin with a couple of gentle pads, leaves the skin cooler, soften, plumper and smooth and ready for day cream. I think of it as a little drink for my skin. It takes just seconds to use and easily slots into your skincare routine, yet has long lasting benefits. My skin definitely feels happier at the end of the day if I use this in the morning. I ACTUALLY REALLY LIKE IT! The last step after applying toner is Hydration day cream, which is an intense moisturizer that provides intense hydration without clogging pores or exacerbating congestion and leaves the skin smooth and refreshed. It Is contains same ingredients with toner and cleanser that help to keep skin well moisturizes and hydrated. It's smells gorgeous: fresh and clean, and it just works. The texture of the cream is intense and rich, you can tell from the following picture. It is in white color I love the rich texture of cream, and it gives hydration as well for my skin. days of usage. 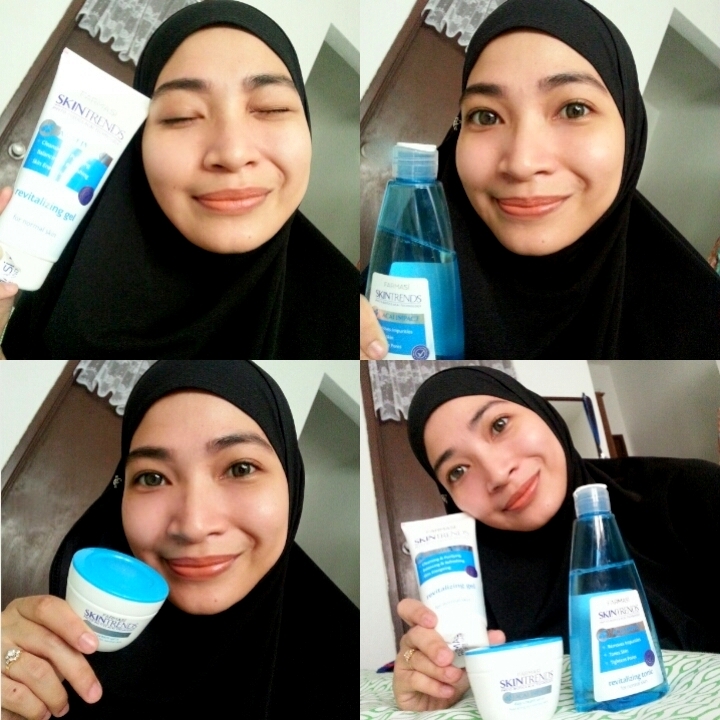 Another thing that makes me loves this range is because the range provide me the hydration that I need for my skin. I love it! Those who are looking for intense hydration skincare range, you should try this. Highly recommended! I love this product! the smell, the way it feels, the packaging, its all wonderful and I personally think these 3 product work well together, in the way the work together. Get yourself a treat, you deserve to be beautiful! Can you please write full ingredients about day cream?